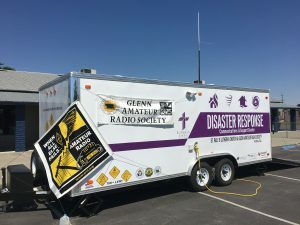 Disaster/Emergency Response – Copyright © 2019-2025 Glenn Amateur Radio Society. All rights reserved. 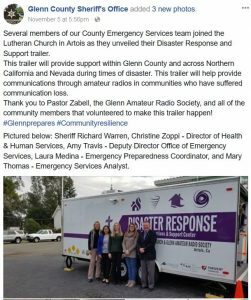 In collaboration with St. Paul’s Lutheran of Artois, GARS is configuring/outfitting a Disaster Response Trailer (DRT) to provide resources during and following a disaster. The front 8′ of the 20′ DRT is dedicated to communications HF through VHF/UHF. Both analog and digital equipment is supported.